The stunt changed actually helped change regulations. It’s heartwarming when a brand uses its scale in the interest of the public good. It’s better still when its impact is so massive it changes harmful laws. 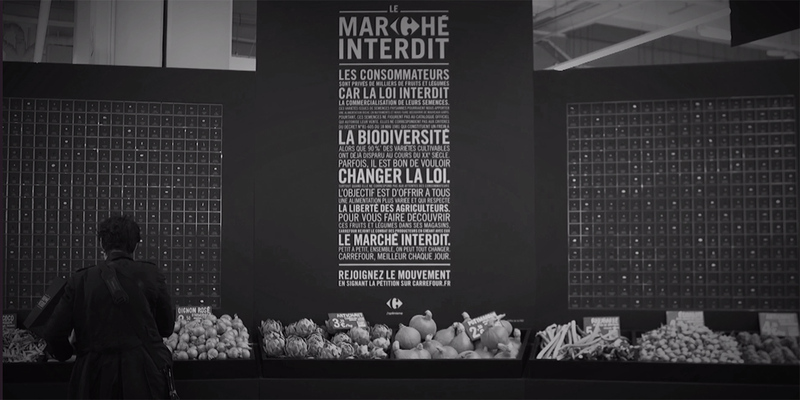 French grocery chain Carrefour accomplished just that, and in a deliciously subversive way, by launching the “Black Supermarket” alongside agency Marcel. Activated at Carrefour stores nationwide, the campaign sold illegal cereals, fruits and vegetables in a suitably “black market” context. The Official Catalogue of Authorized Species was originally conceived with good intentions: guaranteeing food safety for everyone in the European Union. Infringement of these laws can result in fines that can bankrupt an honest farmer, not to mention the cost to distributors who work with them. It sometimes feels like our futures have been taken hostage by forces larger than ourselves. The name “Monsanto” evokes just such an emotion—one example of a brand that’s made it nearly impossible for farmers to grow crops that haven’t been genetically engineered. Sometimes, though, we’re also reminded that the market rewards positive social forces when an execution resonates just enough to hack whole communities. In 1996, Carrefour became the first major retailer to forbid GMOs in stores. 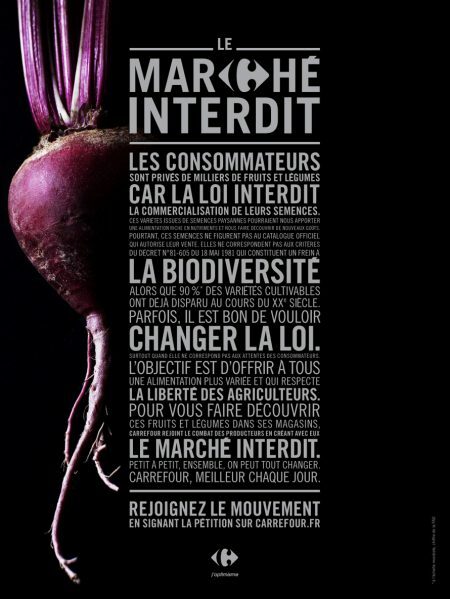 Since then, it’s become the largest organic products retailer in France. The purpose of its Black Supermarkets was to give this positioning more visibility and reposition “illegal” producers as national heroes. 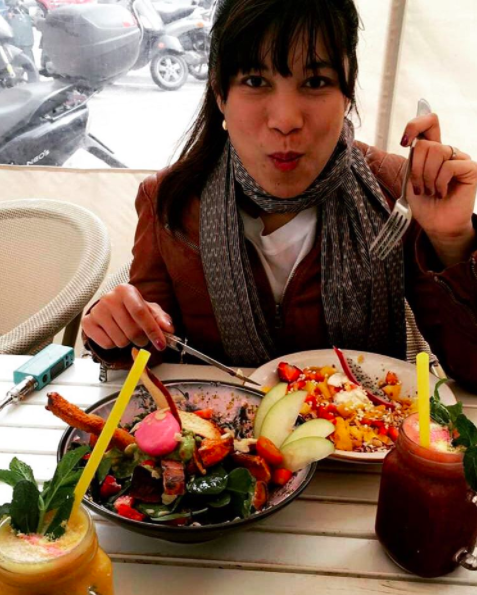 The Black Supermarkets launched last year on Sept. 19, headlined by an “illegal dinner” that ran concurrently with the French National Food Forum, putting Carrefour itself at risk for heavy fines. On Sept. 20, Black Supermarkets opened nationwide and 600 forbidden varietals were staged in massive herbariums, over which hung the faces of illegal producers who had been sued by agrochemical lobbies. An accompanying web film also spread the word, reinforced by print and outdoor executions. “[People] bought the illegal goods en masse—our maximum of 70 tons, due to scarce illegal supply,” du Peloux said. Visitors were also asked to sign a Change.org petition to change the law, resulting in over 85,000 signatures. Carrefour signed five-year supply contracts with illegal producers and invited opinion leaders to witness the act. The brand claims this is the first time a retailer has broken the law in order to change it.